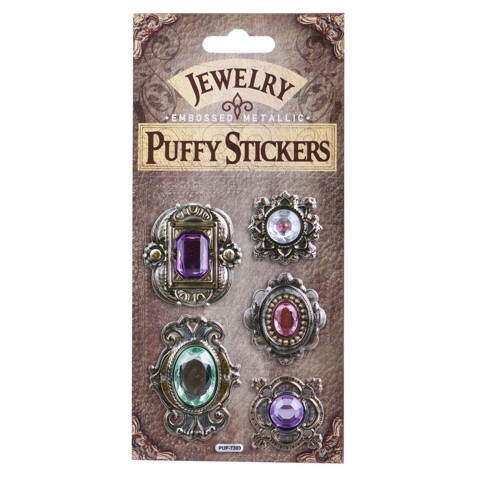 Stickers Puffy W/Jewel Look. 9X19CM. 4 ASST DESIGNS. PVC+METALLIC+JEWELRY. 15-17g Packaging: OPP BAG+HEADER CARD.